I have this obsession with freezing food–as long as it can be frozen, I will freeze it. So in my tiny freezer, it is cramped with soup stock, duck fat, ramen, meyer lemon cream and a giant bag of homemade gyoza. The possibility of me starving to death is rather low. Among my frozen (food) stock, one of my favourites is gyoza. They are great as late night snacks, and help to pimp up lacklustre meals. I only started making my own gyoza a few months ago, and I obsessed in getting the pleat right for the dumplings (at this stage, you might detect my OCD nature). Wrapping gyoza was easier than I expected–as long as you do not mind a few deformed looking ones. Kimchi and tofu are my favourite fillings for gyoza. My homemade kimchi is slightly spicy and tangy and its flavours are absorbed by the firm tofu. 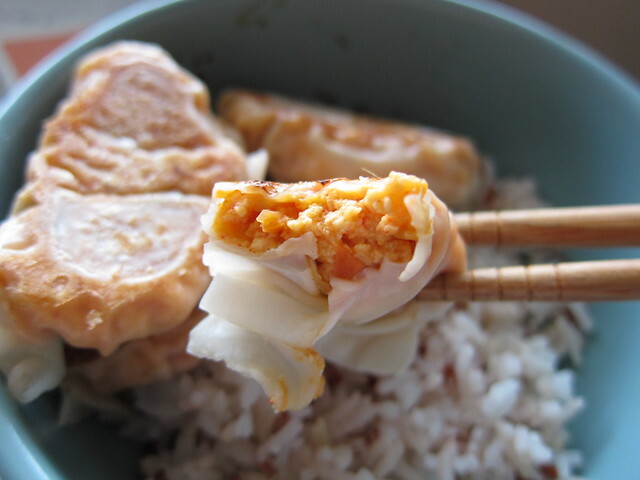 There is a certain lightness in the kimchi tofu gyoza–you do not get too filled up as compared to meat-filled gyoza. So you do not feel guilty from eating them as supper. If you have fears in getting the pleat right for the gyoza, you don’t have to fret about it. You can keep things simple by just folding them. As long as they are delicious, no one will care how they look. But if you are really determined to make the pleat right, go to YouTube and do a search–there are many videos demonstrating the folding of gyoza. 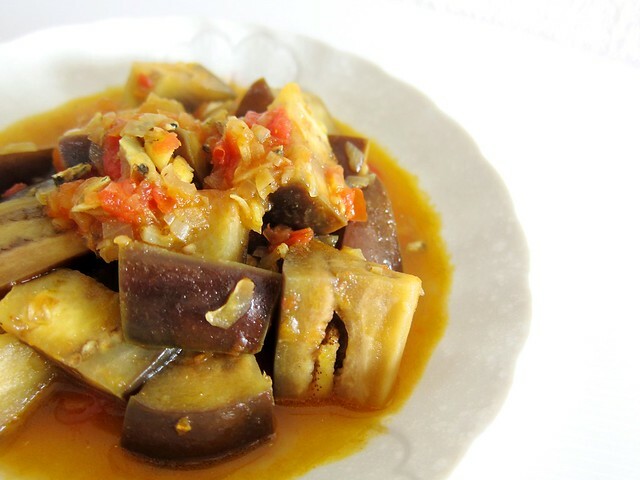 - Cut the tau kwa into small pieces and place them on a cheese cloth or a clean tea towel. Take the ends of the cloth/ towel and squeeze out all the liquid in the tau kwa. Once done, put the tau kwa in a large bowl. - In the large bowl, add in the rest of the ingredients and mix well. You can pan fried a bit of the filling to check on the seasoning. You might need more sugar as store bought kimchi tend to be on the sour side. - Once the filling is ready, it is time to wrap (at this point, prepare a bowl of water and set aside)! Place one dumpling skin onto the palm of your hand, using a teaspoon, scoop the filling and place it in the middle. Don’t go overzealous with the filling–when you wrap, the filling might leak out. Spread the filling, leaving the edge of the skin alone. Dip one of your fingers in the bowl of water, and wet the edge of the dumpling skin. At the lower half of the dumpling, hold the middle and fold. Press the middle of the skin and hold it with your thumb (the thumb is from the hand that is holding the gyoza). Start folding one side of the gyoza. Repeat for the other side. - To cook, place a large frying pan (make sure the pan comes with a lid) over medium heat and add one tablespoon of vegetable oil. Once the pan is heat, place the gyoza in the pan. As the gyoza began to cook, add in half a cup of water (if you are using a smaller pan, you might not need so much water) and cover. Let the gyoza cook for around 5-7 minutes and remove lid. If there is still water in the pan, just the gyoza continue to cook until the water evaporated. Once all the water is gone, check the bottom of the gyoza, it should be browned and crisp. If not, leave them in the pan for a few more minutes. - Once the gyoza are cooked, remove and eat! 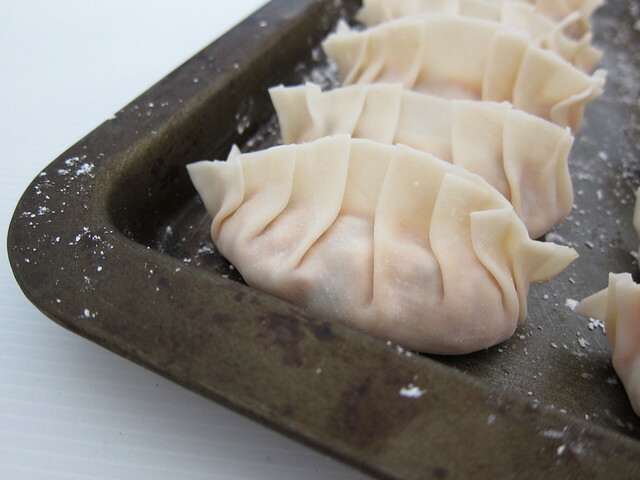 - If you intend to freeze your gyoza, flour a baking tray and place the gyoza onto the tray. Once done, stick the tray in the freezer. Once the gyoza are frozen, remove from the tray and place them into a freezer bag. They can be kept for up to 3 months. I am a bread snob. It all started when I made my first loaf of bread. I realised that making bread can be really easy or really tough. Whatever techniques that I choose to use, the result is (almost) the same–I got myself a beautifully baked, chewy and delicious loaf of bread. Bread, when made without preservative, goes stale really fast–the next day to be exact. And this also means how much preservatives are added to our supermarket’s bread to extend its shelf life. I do admit that to make a good loaf of bread takes time, effort and perhaps techniques. However once you have tasted your fruit of labour, you will not go back (I think, I hope). Maneesh is currently my favourite bread to make. 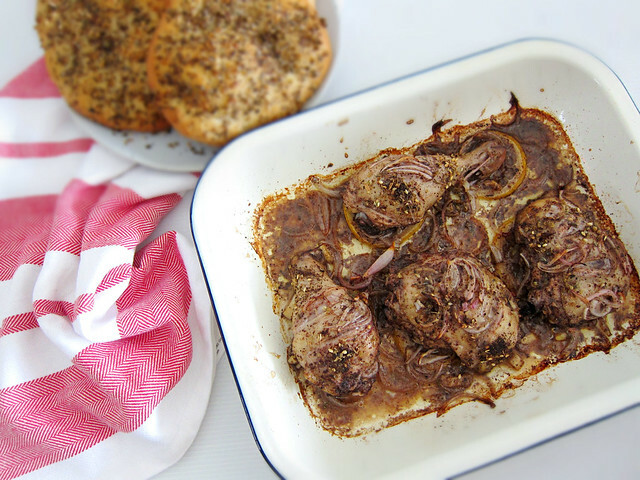 You do not have to knead for a long time and it uses one of my favourite condiments–za’atar. Za’atar is a type of herb that is related to the oregano and thyme family. It is also the name for a blend of herb and spice which made up of thyme, sumac, sesame seeds and so on. In my case, I am using the latter. Maneesh is a great accompaniment to dips such as baba ganoush, labneh, and hummus. Of course, it is delicious on its own. 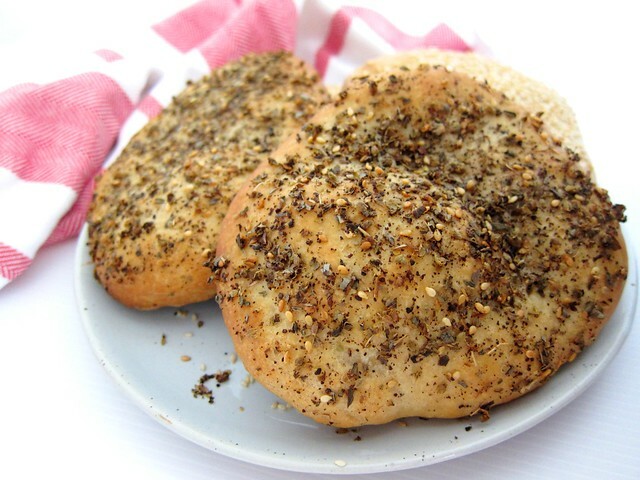 If you are not making maneesh for a big group, you can easily half the recipe. Like most bread, this is best eaten on the day it is made. - In a large-sized bowl or stand mixer bowl, add in the flour. Place salt and sugar at one end of the bowl and the yeast at the other end. If the yeast comes in contact with the salt, it will lose its ability to be “activated”. - Add in ¾ of the water, and using either your hands or stand mixer (dough hook, medium speed) and start mixing. What you want to achieve is a soft dough. Hence you may or may not need to use all the water. The side of the bowl should be clean and the dough should be soft and not shaggy. 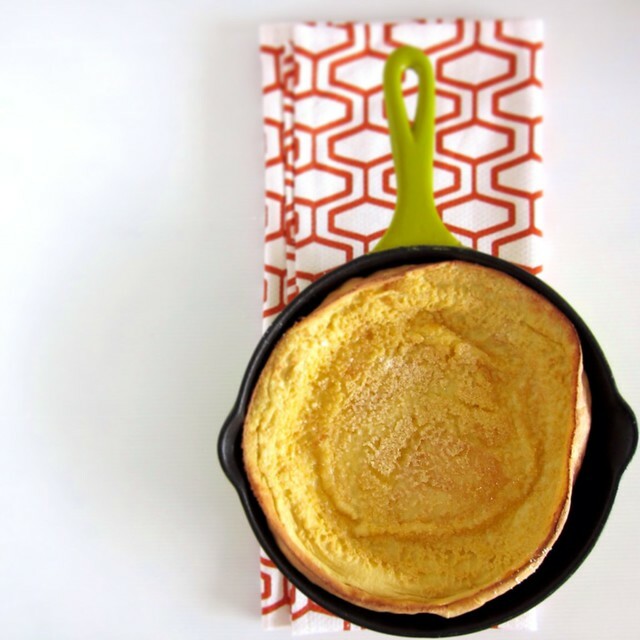 - If you are using a stand mixer, lightly coat the side of the bowl with olive oil. On medium speed (dough hook), work the dough for about 10 minutes until you get a soft and smooth skin. If you are using your hands, oil your work surface and knead the dough for around 10-15 minutes until you get a soft and smooth skin. Once you achieve the right texture, place the dough in a lightly oiled bowl, and cover and let it proof for at least 1 hour. - Line 3-4 baking trays with parchment paper or silicone pat. - Remove the dough from the bowl and place it on a lightly oiled work surface. Knead the dough for a minute to knock all the air. Once done, divide the dough into 3 equal pieces, and roll each into a large circle around 30cm in diameter. You can also divide the dough into 10 equal pieces and roll each piece into a circle. If you are not good at dividing the dough, use a scale (I do! Oh I also standby a calculator too.). - Place the rolled flat dough onto the baking trays, and cover them with cling wrap and proof for about 20 minutes. While the dough is proofing, preheat you oven to 230oC and make the topping for the bread. In a small bowl, mix the za’atar with enough olive oil to make a thick paste. - Once the dough is proofed, lightly brush each piece with olive oil. Using your hands, lightly spread the za’atar topping on each piece. Bake for 20-25 minutes minutes (For smaller pieces, bake for 15 minutes) or until golden brown. Instant noodles have played a huge part in my life. 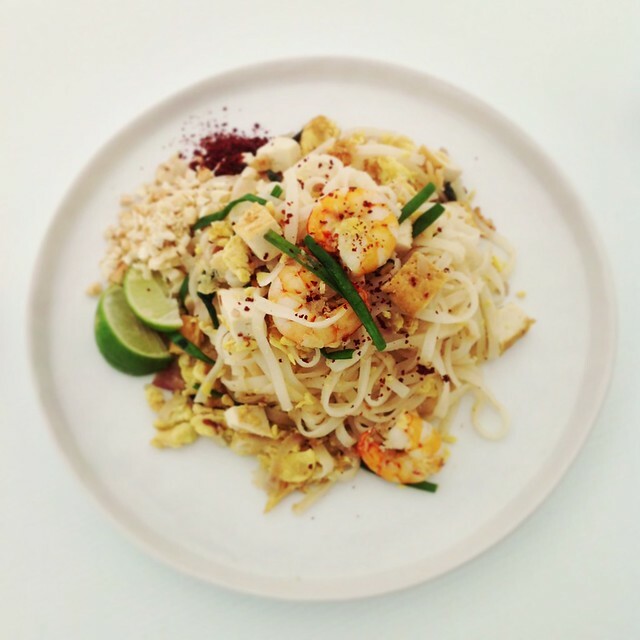 One of my favourites was Indo-Mie’s mi goreng. It was my go-to snack when I was studying late in the night. It was quick, easy and satisfying. When I was in university, I would buy a carton of the mi goreng from the Oriental shop and this would last me for months. Though I do cook from scratch, it always good to know you have “instant” food in the house especially when you were trapped, and trying to finish up a thesis. With all the scary stories and health concerns regarding instant noodles, I have definitely cut down my consumption. However the recent horrid haze that Singapore experienced motivates me to eliminate instant noodles. In the month of June, Singapore was badly affected by Indonesia’s forest fire. The pollutant standard index was at its highest of 401. It was considered a health hazard to be outdoor and I was stuck in the house for a few days. The cause of the fire was to clear land for palm trees. Over the years, there has been a great demand for palm oil. A lot of things we used and consumed contained palm oil. Palm oil can be used to make a bar of soap to the seasoning oil found in instant noodles. As a step to reduce the demand for palm oil, I made the heart-breaking decision of not eating my favourite Mi Sedaap’s mi goreng (and any instant noodles). However this does not mean I stop having “instant” food at home. I stockpile noodles and chicken stock in my freezer (suddenly I feel like a doomsday prepper). I particularly like Sakura’s la-mian which is fresh noodles and when cooked has a chewy texture. I have no shame in saying I am a fan of instant stock. There are really good quality packet stocks available in the supermarkets. It is a time and perhaps a money saver too. To make this noodle soup better than any instant noodles, I pimp it up. 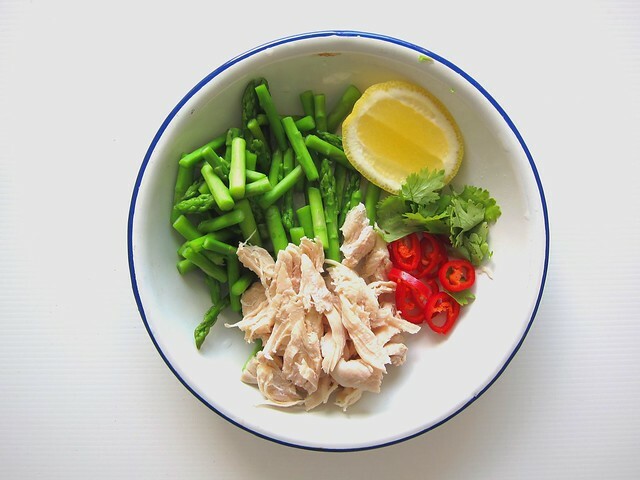 I not just whacked in flavour into the soup, I added some shredded poached chicken and blanched asparagus, topped with coriander and fresh chillies. Paying homage to my favourite ramen stall, Marutama, I throw in a slice of lemon, giving the soup a kick of acid and balance. You do not need to use the list of ingredients that I have below. You can use whatever you can find in your fridge and pantry, adding your favourite food, making this noodle soup your own. - Using the same saucepan, add in the chicken breast and poach it for 5-8 minutes (depending on how thick the chicken breast is). You can also take out the chicken breast and cut into half to check if it is cooked. Once the chicken breast is cooked, remove it with a slotted spoon and place it on the same plate as the asparagus and let it cool. Set aside. - Remove the poaching liquid from the saucepan. Fill up half of a small saucepan with water and add in a pinch of salt and place it over a medium heat. Once the water starts to boil, add in the noodles and cook per instructed. I usually use fresh la-mian which takes about 3 minutes to cook. 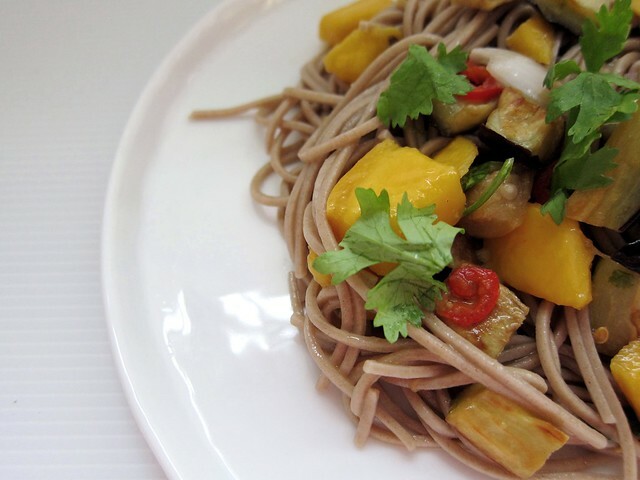 If you are using dried noodles, you might want to soak it in cold water for 10-15 minutes, and quickly blanch it in hot water for 1-2 minutes or until it is almost cooked. It is important not to overcook the noodles as they will be reheated later in the chicken broth. Once the noodles are cooked (it should still has a bite), drain it using a colander. Once the water is drained off, add in the sesame seed oil into the noodle and stir it around with a pair of chopsticks or a fork. The oil not just imparts fragrance but also prevents the noodles from sticking. Set aside. 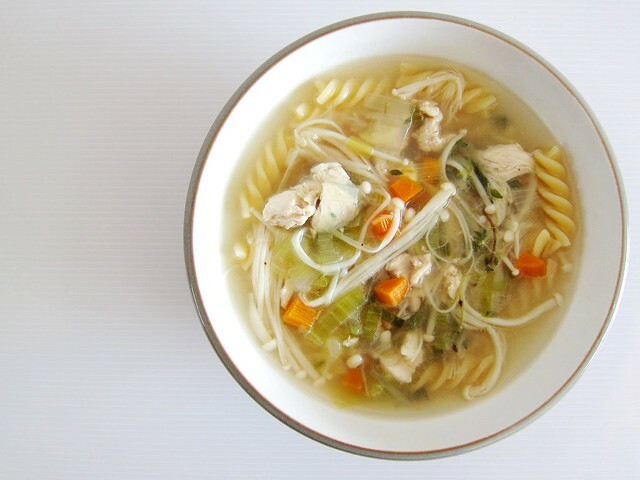 - Using the same saucepan (see this is a one pot chicken noodles soup too! ), place it over a medium heat, add in the chicken broth. Once the broth starts to boil, add in the Chinese cooking wine and soy sauce (if using). At this stage, you can taste and adjust. If the broth is slightly salty, it is ok. You will notice that all the ingredients we have prepped earlier have barely any seasonings. They are purposely blanched to absorb and pair with a savoury broth. If you find it really salty, add in some water to dilute the broth. Once you are happy with the broth, you can off the heat. - Before assembling the chicken noodles soup, shred the cooked chicken breast with your hands or with a fork. You might also need to cut it into bite-sized pieces. - To assemble, pour the broth into the serving bowl. Add the noodles into the bowl, follow by the shredded chicken, asparagus, coriander, sliced chillies (if using) and a wedge of lemon. 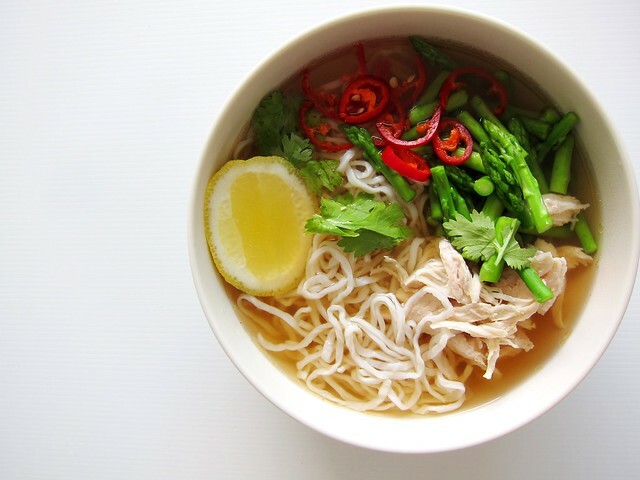 - I could have cooked everything in a pot but I chose to cook every ingredient separately as I think it produces a cleaner tasting (and looking) chicken noodles soup. If you really want to cook everything in a pot, the one thing I would suggest is to cook the noodles separately. This is especially important if you are cooking fresh noodles. The excess flour from the noodles might cloud the chicken broth and add a floury bitter taste. Ever since I conquered my fear of making choux pastry, I bravely moved forward and made my first attempt at pâte à choux aka cream puff. 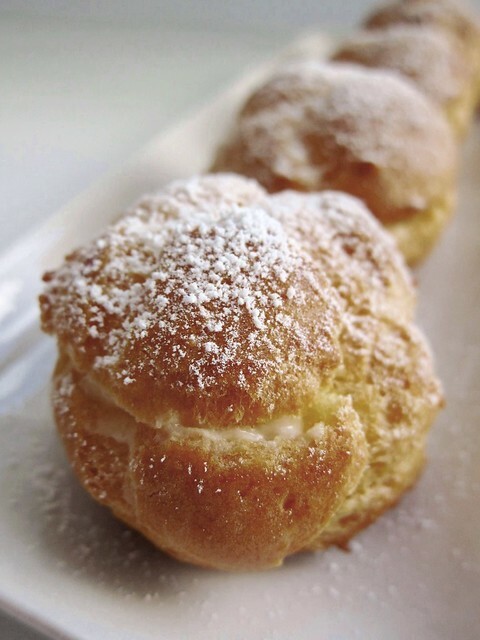 I adore cream puffs – they are like little nuggets that are simple in flavour yet every bit delicious. And whatever sizes they come in, I love them all – the smaller ones, you can pop them in your mouth like tic-tac while the bigger ones will tend to leave cream all over my mouth (which I don’t see it as a bad thing). Another reason that I dragged making cream puff is the pastry cream (that is needed to fill the pâte à choux). This is the time where knowledge does not work to my advantage. After hearing horror kitchen stories, watching enough food channels, I uncovered how easy it was to burn/ overcook the pastry cream. With this fear, my pastry cream always turns out to be runny. And piping runny pastry cream into pâte à choux is a nightmare. Oh yah, I hate piping too. I never know how much cream to pipe into each puff. To banish this nightmare, I eliminate piping the cream into the puff. Instead I sliced the top of the puff and spoon in the cream. In this way, no matter what state my pastry cream is, I know it will make it into the puff. The key to making pâte à choux without any drama or panic is to get all your ingredients in place (mise-en-place) and measured in precision. This also means getting your baking tray lined and spoon ready to scoop the batter. In this way, making cream puff will be more an assembling job. - Preheat the oven to 220oC and line a baking tray with either parchment paper or a silicone baking mat. - In a medium-sized saucepan, add in the water, butter, sugar and salt. At this point, place the flour near the stove as you will need to add it in once the mixture comes to a boil. On a medium heat, bring the mixture to a boil, stirring it occasionally with a spatula to help the butter to melt. - Once the butter is melted and the mixture begins to boil, quickly add in the all-purpose flour and stir rapidly with the spatula. Keep stirring until the mixture forms a smooth and thick paste and begins to pull away from the sides of the saucepan. - Remove the saucepan from the heat. Using the same spatula, you can pat down and spread the paste to help it cool faster – do this a few times for 2 minutes. - Using a spatula, vigorously beat in the eggs one at a time, making sure each egg is completely incorporated before adding in the next one. You can use a stand-mixer (with a paddle attachment) for this step but I think it is unnecessary as you are just loading more things to wash. Unless you are doubling the recipe, you can easily accomplish this step by hand. - Using a levered ice-cream/ cookie scoop (mine is a 2 teaspoons scoop), place the paste on the lined baking tray – each puff needs to be 3” apart. You need to give sufficient space in between each puff as they will triple in size once they are in the oven. - Place the baking tray in the oven and bake for 25 – 30 minutes (depending on the size of your puff) or until they are golden brown. You can rotate your tray after 15 minutes to ensure the puffs are browned on top and sides. - Once baked, remove the tray from the oven. Using a paring knife, gently poke one side of the puff to release its steam and let it cool completely on a wire rack. - Once cooled, you can fill the puff with pastry cream* or whipped cream. - To fill in the pastry cream, slice the top of the puff horizontally (I usually use a serrated knife). Do not slice all the way through so that you have a “lid”. Using a teaspoon, scoop in 2 teaspoons of pastry cream/ whipped cream into the puff – the amount of cream should be in proportion with the size of the puff. You also need to be careful and not overfill the puff with cream as it might make it soggy. - Before serving, if you bother, sieve some icing sugar on top of the puff. *If you are using the King Arthur Flour’s pastry cream recipe, you need to double the recipe.